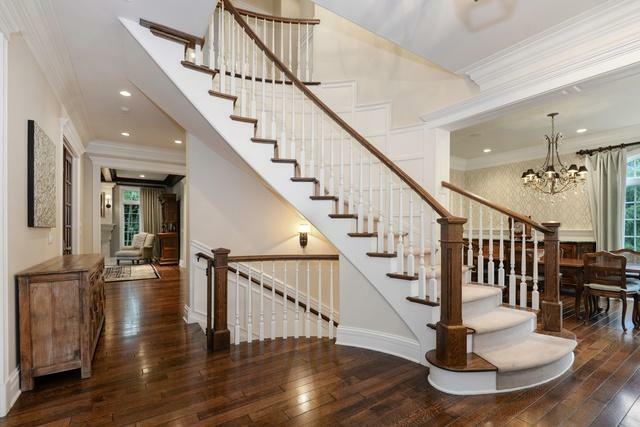 Stunning 6 bedroom, 5.1 bath home by Heritage Builders in the heart of Winnetka! A gorgeous foyer with sweeping staircase invites you into this gracious home complete with formal living room and dining room, cherry wood paneled library, cook's kitchen featuring top line appliances, light filled breakfast room, butler's pantry, first floor laundry room and great mudroom with lots of built-ins. 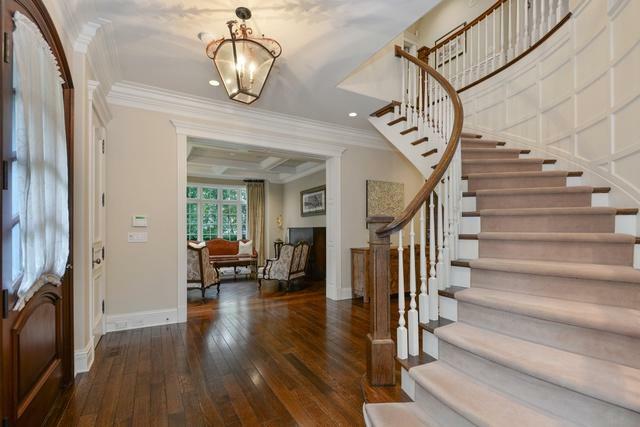 Architectural details throughout boast exquisite millwork, beamed ceilings, hardwood floors, & 3 fireplaces. Second level offers a luxurious master suite with spa bath and heated floors. Three more large bedrooms, one with en suite bath & additional laundry room complete this level.There is a guest retreat on the third level with full bath. An amazing lower level includes rec room, bar, wine cellar, exercise room, sauna/steam room and media room. The beautiful yard is highlighted with an expansive bluestone patio, 2 car attached garage and custom age shed. No detail is overlooked!